Finger foods are so welcoming and communal when eaten amongst a gathering of people. They assist us with relaxing, and somehow through their incredible range of textures, flavors, colors, and shapes encourage us to interact with each other, while we casually enjoy each others company; eating, and tasting, and giving, and talking, and passing, and taking, and laughing, and listening, and using our hands, and creativity is sparked, people are engaged, ideas are shared… in short they give us some time to enjoy a little bit of the good life. 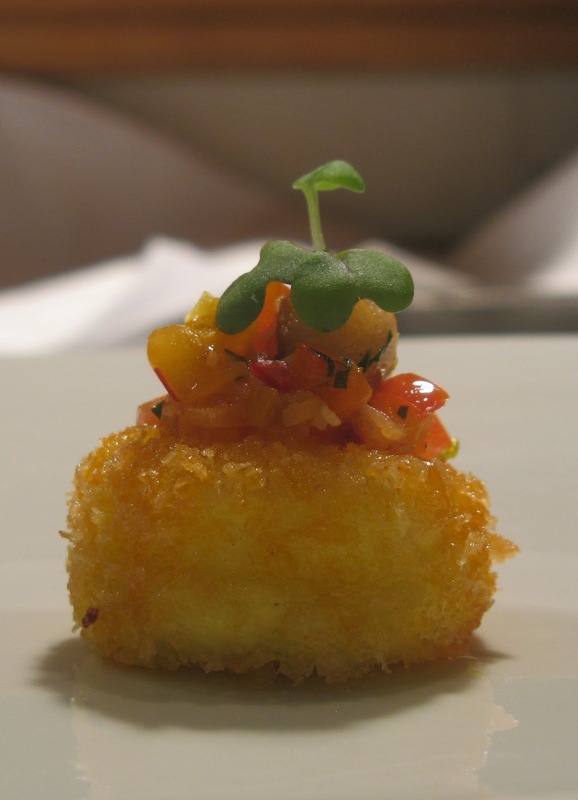 An exhilarating vibrantly zesty smokey Norwegian cod tongue lays on top an incredibly warm crispy smooth cheese filled fondant. This texturally pleasing mouth tingling tapa is a perfect bite to focus on while sipping a crisp chilled Cava. 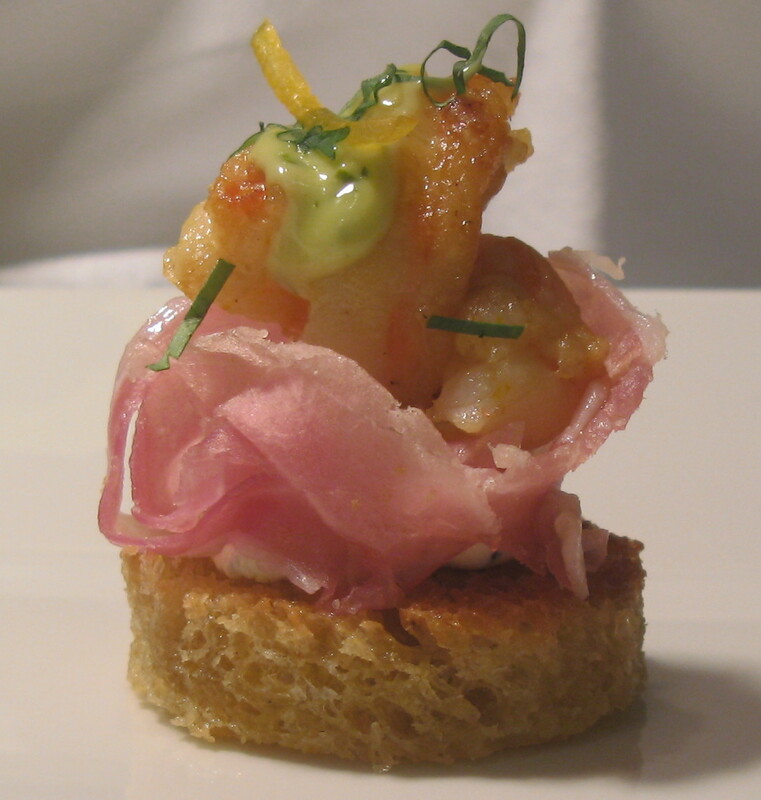 Crunchy bread, creamy Norwegian goat cheese, salty local Grøstad ham, and tangy cilantro dressing are all playing together to push and highlight the elegant delicate flavors of the saffron marinated scampi. This mouthful of a tapa is so wine friendly with bright bursts of fresh lemon, mouth coating cream, and the sensational sea scented scampi. 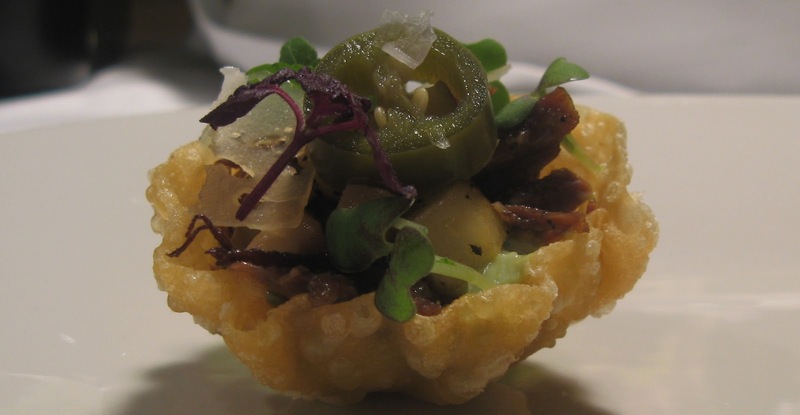 Smoked paprika, pears, and king oyster mushrooms enliven this braised wild boar shoulder ragout and it is placed in an avocado cream filled wonton cup. 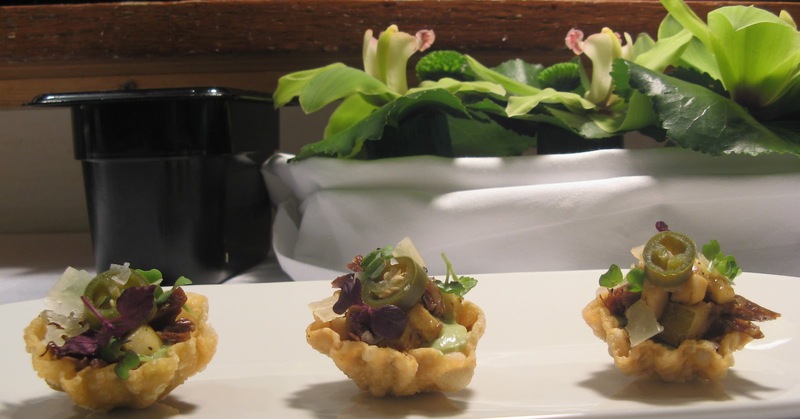 A zesty and spicy pickled jalapeno and aged Manchego top off this mini tostada. A great tapa that can be easily adapted to any season.